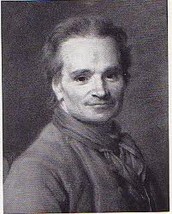 The commercial production of salt in North America copied the English production. Brine pumped from wells settled in shallow pools to filter out some of the impurities. The brine boiled to produce salt crystals. It was reported in 1743 that one gallon of water could be boiled down to one pound of salt. there are 2 different types of methods they are called the boiling method and solar method. the boiling method was dangers and people were dying from it so they came up with the solar method. Some of the things that salt was used for is cooking and preserving food, trading, and medical use. 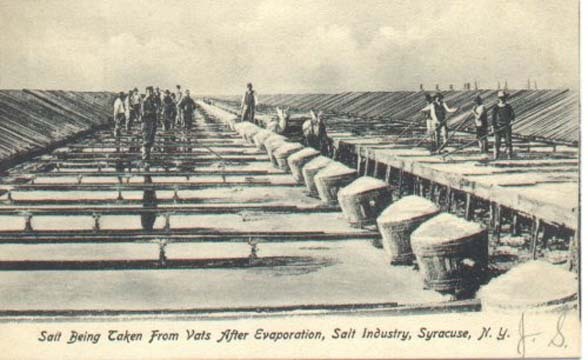 The salt industry has a long history in and around Syracuse, New York. Missionaries visiting the region in 1654 were the first to report salty brine springs around the southern end of "Salt Lake," known today as Onondaga lake. Onondaga Salt Springs Reservation provided the basis for commercial salt production from the late 18th century through the early 20th century. The salt springs extended around much of Onondaga lake, originating in the town of Salina and passing through Geddes and Liverpool to the mouth of Nine Mile Creek, a distance of almost nine miles. The majority of salt used in the United States in the 19th century came from Syracuse and that is why Syracuse is known as "The Salt City." video on the salt museum. Our field trip to the Salt Museum was very interesting. It was cool to learn about Syracuse's history of salt and how it was produced. Now I know why we are called "The Salt City".